Started in the 5th century BC, the Great Wall of China runs 13, 171 miles, and was meant to defend against the invasion by the Mongols and provided a route of transportation. The bricks that make up the wall were bound together with sticky rice flour so tightly that no few weeds grow through. 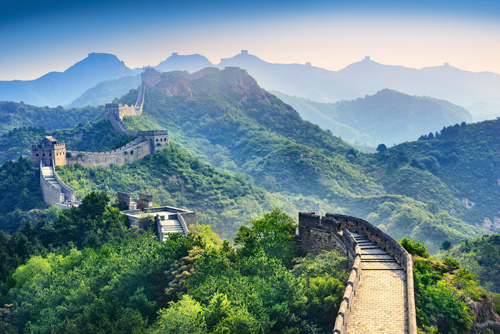 With Azamara, you can visit the Great Wall of China with an overnight port stop in Beijing. Take a walk along the wall, enjoy the panoramic views, marvel at the architectural construction, and absorb history. They suggest packing a good pair of walking shoes and some water. 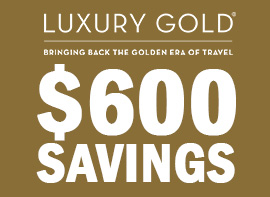 Related: Click For All Discounted Azamara Sailings! 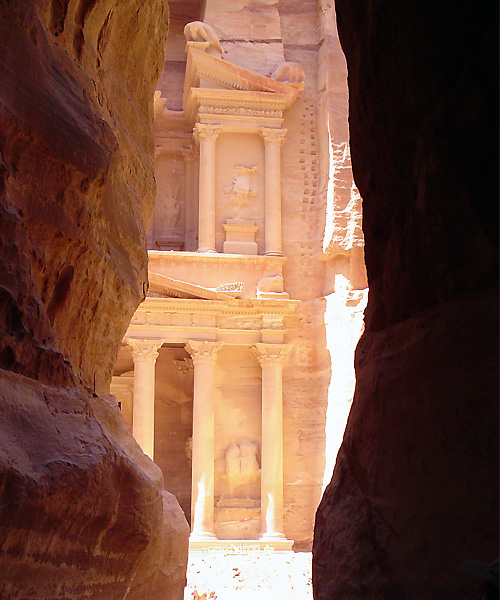 Designated as a UNESCO World Heritage Site, Petra was an ancient city once full of commerce in the south part of Jordan. Founded around 312 B.C., the Nabataeans, an Arabic nomadic people, established their capital as a center of trade. Their water technology allowed them to create a desert oasis through tunnels and water chambers. Sail around the Red Sea with Azamara, and up the Gulf of Aqaba to Jordan. Then they take you on a land trek to Petra- but bring your hiking gear! The walk is quite difficult to traverse, and getting to Petra means passing through a siq, or narrow gorge. See the famous Treasury building carved out of the rock right inside, and view all the other ruins like the Royal Tombs and the Roman amphitheater that sat 3,000 people, and much more- there are over 800 monuments. An architectural marvel and engineering feat, only part of the Colosseum remains. 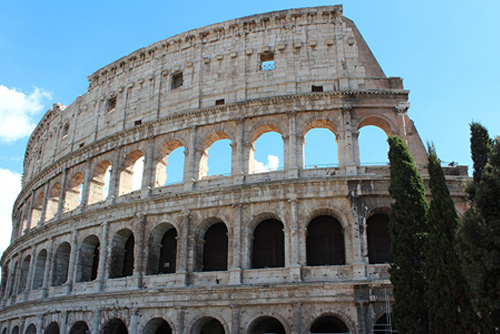 Constructed in 72 A.D., it sat over 50,000 spectators who watched gladiators fight and saw mock naval battles. It served as a place of entertainment for the ancient Romans, a quarry for other Roman buildings, and even was repurposed as a fortification by warring Roman families. When you land in Civitavecchia, several excursion opportunities offered by Azamara will take you into the city of Rome. In Rome, view many ancient sites, including a walk through of the Colosseum led by a local guide. 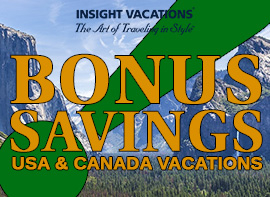 Related: Top European Azamara Excursions That Will Blow Your Mind! 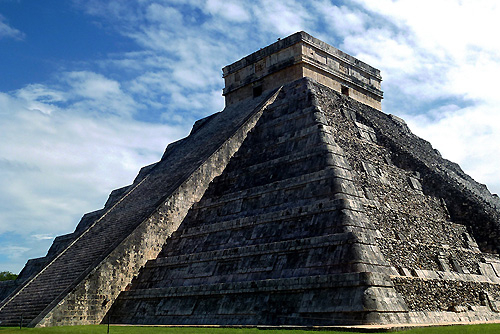 Take a trip through time when you visit Chichen Itza, a complex of Mayan ruins in Yucatan, Mexico. Most popular, the Temple of Kukulkan is a pyramid with 4 sides and 365 steps and was built by the Mayans between 800 and 1200 A.D.. The building shows the importance of astronomy in their daily lives. When docked in Cozumel, visiting one of the new 7 wonders of the world with Azamara involves a hike to the area, and guests get to see the serpents carved into the rock of the temple. If you visit in the spring or fall during the equinox, you’ll be able to see an illusion of a shadow of a serpent slithering down the steps of the pyramids steps. 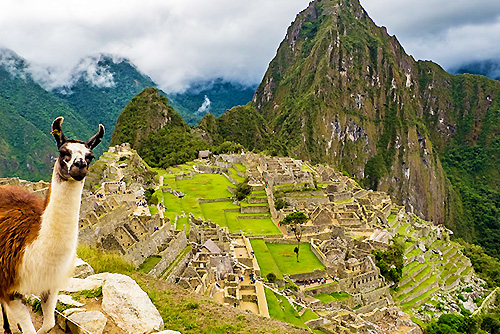 Machu Picchu has the distinction of a Peruvian Historical Sanctuary, is a UNESCO World Heritage Site, and is one of the of one of the new 7 wonders of the world with Azamara. An ancient city, the Incans built it on top of a hill around the 15th century and is made of polished, dry-stone walls. With a pre or post land voyage, Azamara invites you to get immersed in ancient Peruvian history. Trace the route of ancient Incans, find the hidden entrance to the citadel, see the Inca Bridge and take in the site of the Temple of the Sun. Azamara’s guides have an overnight stay in the area so you can enjoy visiting other Incan archaeological sites and have more than one day to explore Machu Picchu at your own pace. No trip to India is complete without seeing the iconic Taj Mahal. Using 22,000 workers, 1,000 elephants, and spanning 22 years, Emperor Shah Jahan built the marble monument as a tomb for his wife in the 17th century. It’s a perfect example of the influences and style of Muslim Mughal art and architecture in the region. Related: See All Azamara Club Cruises All In One Place! 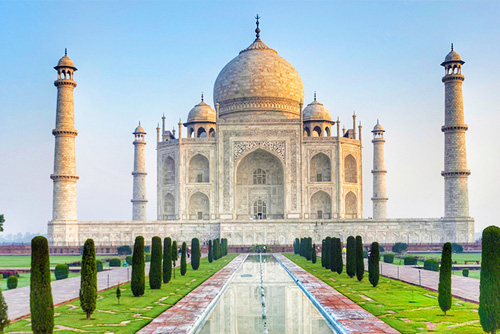 Go on an overnight immersion experience at the Taj Mahal, one of the new 7 wonders of the world with Azamara. On a trip from Goa to Agra, see it both at sunset, and sunrise and enjoy each glimpse as it changes in color with the changing light. Enjoy the mingling of Persian, Islamic, Turkish, and Indian architecture, stroll along the raised pathway in the garden, and admire the flowers and reflecting pool. 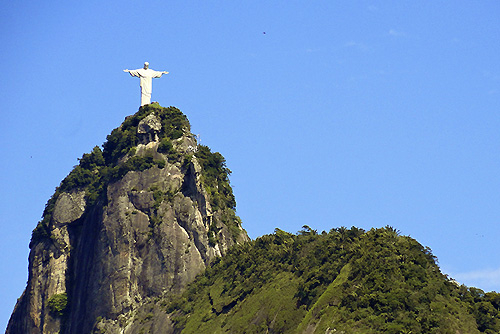 Sitting on top of Corcovado Mountain, the redeemer statue of Jesus Christ is an icon of Brazil. Fashioned between 1922 and 1931, the art deco statue is 125 feet tall and its arms span 92 feet. It is a collaboration of Brazilian and French engineers, a Polish-French sculptor, and a Romanian artist. Cruise in South America for one of the new 7 wonders of the world with Azamara while at port in Rio de Janeiro. Enter Tijuca National Park to see waterfalls, plants and animals, and wander the hiking trails that eventually lead up to the top of the mountain to see the statue. This is also a great spot for panoramic views of Rio, Copacabana, and Ipanema. Elevators and escalators are also accessible to help visitors up to the summit. In all, the new 7 wonders of the world with Azamara are worth a trip, and they can get you there while providing insightful knowledge and VIP treatments. 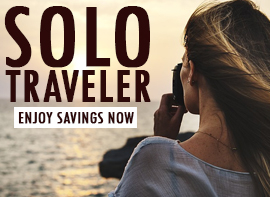 Add on to your cruise with overnight experiences and overland pre or post cruise tours that take your on journeys to places that you don’t have to be afraid of missing. Azamara is dedicated to bringing you a little closer to the things in the world that inspire.